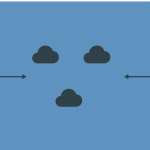 How to put a post or more to stay in wordpress “home” or front page. It is called sticky posts. 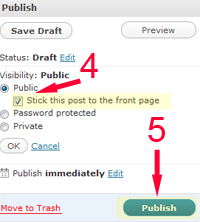 Sticky post in wordpress is very useful, especially if you want to display specific post to always stay in the top above all your other posts. I have checked in Twenty Ten theme, sticky posts have specific style, so it is easier to spot if people visit your blog, and you have a special post that you want your readers to always see them. 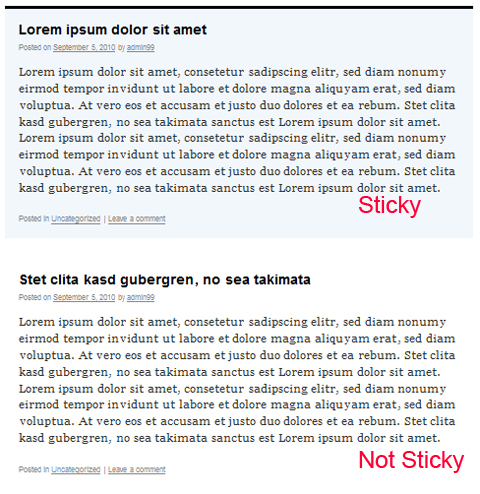 Here is how we create sticky posts with wordpress 3.0.1 theme Twenty Ten tutorial. 1. 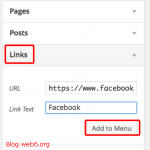 Create your post, if you use AIO, here is a post how to optimize your post title with All in Seo plugin. If you are using other themes, and not Twenty Ten, it differs from one to another. Sometimes they are not stylized by the theme creator, sometimes they are. So it really depends on your theme CSS file. How are you doing? What is your recommendation for an Adsense plugin to use for Twenty ten theme?. How about a video tutorial on adsense? Thanks in advance. @andrew, i am doing fine, just a little busy, son’s first day going to school. Thank you for asking. I personally have never used any plugins for adsense, i am the type who avoids using plugins if it is possible. So i can’t recommend any plugins, please do some google researches for more infos. 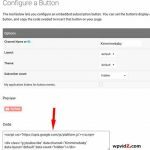 If you want to add google adsense without plugin, the easiest is pasting the code into “text” widget and drag it to your sidebar. I will create video posts how to add adsense like thumbnail too anytime soon if i have time. Thanks for coming by and great input for this blog. Thank you for this post. Although when I click on Edit beside Visibility, WP does not it will show me three options, public, password protected and private. It just kind of jumped lower to the Categories box. You might want to disable plugins to see if they may cause it. 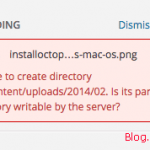 Because “sticky post” option has to be there just like every wordpress blog has. I do not know if plugins are disabled or not. But I do not see a plugins box on the Dashboard. Obviously,, I have LOTS to learn. Oh, if your role is an Author, you should be able to choose “sticky post” only on your post (you’re the author). But yes, you can’t change what the Administrator post. Don’t worry, WordPress is not difficult if you are not into coding. If you like, you can learn to get familiar with wordpress by installing locally in your PC or Mac. Feel free to ask if you have questions, i will gladly help if i can! Great to meet another Thesis user, that’s great to hear if you learn twenty ten child theme, i don’T have time for this lately LOL. Oh I was looking for this tutorial everywhere, Anyád! hey, thanks for that simple explanation. 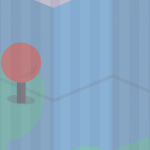 I was wondering what a sticky post was… useful for like an intro post or something similiar.